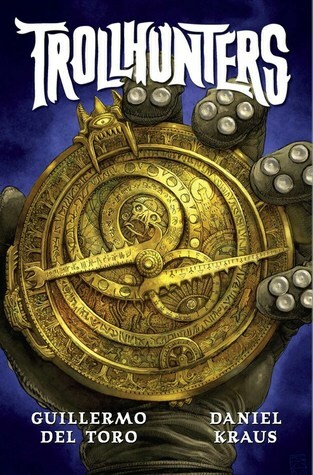 Jasmine Reviews Books – One person's view on mostly fantasy novels. One person's view on mostly fantasy novels. One sentence review: Another fantastic instalment of the popular Peter Grant series. Review: I am not a huge urban fantasy or mystery/crime novel fan. Other than my not so secret love of the In Death series, I read very few mystery novels. Yet, Aaronovitch’s Peter Grant series and the associated graphic novels have become one of my favourite series. The writing is compelling and entertaining, making these enjoyable books that are easily devoured. While the cast of characters is immense, Aaronovitch manages to keep them interesting and three-dimensional. In Lies Sleeping, we get to spend a bit more time with the supporting cast than in the books before and the result is this book doesn’t feel like “just another instalment” of a lengthy series. It is refreshing, exciting, and engaging. Parts of this novel make it feel like the end of the series, but I hope it is merely the end of a fairly lengthy (seven novel) arc. 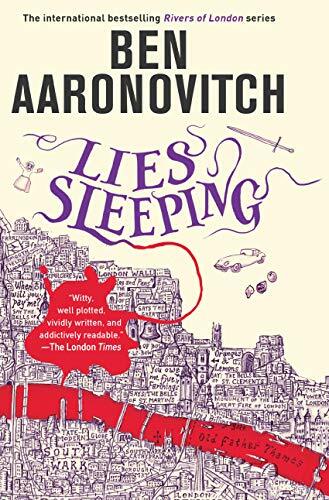 While we wait to see what Aaronovitch does after this one, I highly recommend picking up this series and settling in for a thrilling read-a-thon. Disclaimer: I received a free copy of the ebook for this novel from NetGalley in exchange for an honest review. One sentence review: The book version of five boxes of Girl Scout cookies. Summary: (First Three Books) The heir of a dystopian America must choose his bride from a group of thirty-five young ladies from various societal casts. Our main heroine is from the fifth caste, out of eight, and is pushed into this competition by her parents and boyfriend to gain prestige and the accompanying wealth for her family. As the contest continues, she finds herself playing for more than the wealth, but for the heart of the prince. (Last Two) The story follows up with the daughter of the new royal couple as she holds a similar selection of her own. Review: I struggled with so much of this series and still listened to them all in a week. No one needs Tagalongs, Thanks-a-Lots, Thin Mints, Somosas, Smores, etc. much less five boxes of them, but something about them at every turn makes you buy them and that sugar-addict inside us all eats every last cookie. They are delicious and wonderful and we only get one life, right? These books are my sugar-deprived-fueled purchase of five boxes of cookies for just $20! I kept seeing them taking up more and more of the YA shelf space and felt called to them because it had words like “dystopia” and “romance”. And, I have had this recent yearning for something similar to the Hunger Games. I figured it would help round out this lovely month very well. When I saw them on Hoopla, I figured I had no excuse, I had to finally read/hear this story! The main character is named America. I just feel like you should go into this story knowing that bit of information because it is sometimes awkward or just funny to hear the male lead admit his feelings for America. The characters are not well-developed. They fit into certain archetypes and stay there until Cass needs them to create drama or push the story along. At times, we get some depth or change in a character but is a bit awkward and sudden, rather than a natural reaction to a chain of events. The point-of-view changes to the daughter of the final couple in the last two books. I found her a bit more challenging to relate to and found these books less enjoyable. It is a fun, light-hearted story. I found myself really interested in the rebels. I wanted to know how the king felt about having a revolutionary in his son’s life. While these subplots were dealt with lightly, these little bits were sugar. The delicious, addicting, perfect dose of dystopian fiction. The romance is the cheesiest of cheesy, happily-ever-after romance. And, it is just silly. And, I ate it up. I ached for more between the main couple. I cheered and hurt for them. I am embarrassed by how much they made me melt and how many pages I read just waiting for them to interact again. The relationship is unrealistic, horrible in practice, and so mindlessly wonderful at the same time. Recommendation: If you are searching for fluff, you will get a healthy dose in these five books. One sentence review: An unsurprising young adult romance with sweet-ish characters and very little else. Summary: A girl with a strong prejudice against wealthy kids finds herself smitten with a very rich kid. Review: It is Romance Week, so I thought I would put a hold on Port of Shadows (a hold that might become permanent for reasons of a grown man really misunderstanding menstrual cycles and using them as a plot point anyway) and enjoy some romance novels. 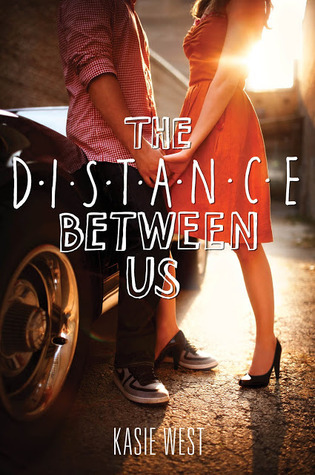 The Distance Between Us was recommended by an article for those who like the Rogan pairing in Gilmore Girls. Considering my return to fanfiction after a lengthy hiatus from fanfiction.net has everything to do with those two, I figured a novel version may be much more interesting, more realistic and believable, and less ruined by a revival made a decade later with different writers. West was also likened to Dessen. Sarah Dessen is the foundation for one of my best friendships from high school. The bond over our love for each of her stories is still strong today. I figured with comparisons to Rogan and to Dessen, this was the book kick off Romance Week 2019. While I adore aspects of the female and male leads in this story, I found the overall story a bit more difficult to enjoy. The romance starts off quick as some romances can do, but encounters drama in the form of lack of any communication. Actually, all the drama in this novel would have been avoided if any of the characters had sat down and had a conversation with one another. I find this kind of drama to be the most difficult to swallow because it is so easily solved. Just. Talk. Is any relationship without the ability to have any level of basic communication even believable? Or is there a host of people in relationships that are afraid to just ask a simple question of their friends, spouses, partners, parents, etc.? There is kind of a love triangle. It is half-heartedly written and so it isn’t too painful, but it is there. The author harps a bit on the prejudice of our lady lead. She hates the rich and privileged because her mom has told her they are the worst. Her mom has a very Lorelai Gilmore view about all things dealing with the upper classes. However, we hear it from the narrator (the main character) CONSTANTLY. She doesn’t seem to even have a real reason to dislike the entire social class above her and yet we hear about her hatred for them almost constantly for an entire book. The book comes to an abrupt end. I listened to the audiobook one afternoon and was stunned when I looked down and I had only 45 minutes remaining. There was so much story left to be told. And so many loose ends. Suddenly, 80% of the hanging threads were dealt with and the story was over. It was quite a whirlwind after the amount of time spent obsessing over things that could have been solved with a two-minute conversation. Overall I enjoyed the breezy feel of this book. I enjoyed it on the level of a cheesy rom-com I may never rewatch. It helped shake off the grime of Red Country and Port of Shadows and put me in a sweet mood to celebrate the holiday of pink, red, and shallow romances. Happy Valentine’s Day, my reading lovelies. One sentence review: Trollhunters starts off slowly but builds into a very interesting, albeit kind of gross and gruesome, adventure story. Summary: A high-school student dealing with his peculiar father, horrible bully, maths difficulties, and unattainable crush is pulled into the life of a hero. He has a week to get his bearings aligned before he must defeat a dark troll of legend. Review: If you are a huge fan of the Netflix series, you are warned that this shares very little with the programme of the same name. I would suggest the animated show is significantly more enjoyable. The pacing throughout the novel is uncomfortable. Often very exciting chapters are followed by tedious chapters. Periods of the book drag out so long and slowly, you feel trapped and lost in the story. Other times, events occur so quickly that you are left breathless as each sentence brings an entirely new thought. The story is gritty and dark with gruesome scenes not for the faint-of-heart. However, it is also beautifully written. Although this is a fairly typical story (a young boy has to save the world), it feels entirely original. The authors spin phrases in a fresh way and the scenes are elaborate and unique. The characters are relatable and loveable. Overall, Trollhunters is an enjoyable tale of a young boy developing into a confident hero. One sentence review: A delightful book in the same vein as Lemony Snicket; but without the bleakness that accompanies the Baudelaire tale of tragedy. Summary: A young boy is orphaned and left to his con-artist of an uncle. After running away from his uncle, he finds himself in a small town in the grips of a crook of a different kind. Review: I will be honest, I jumped on this book because I am a fan of the author’s acting ability. I was very impressed! 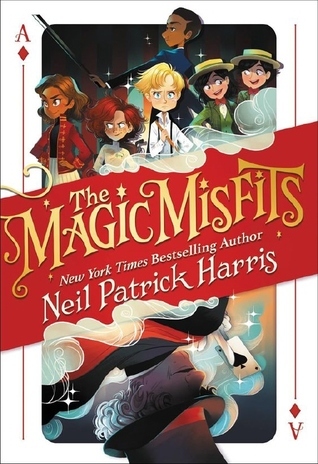 The start of the Magic Misfits series is very cute, fun, and filled with moments of insight that make for an energetic read. The story does lack depth in characters and plot, which would be noticed by most the middle school aged readers that I know. I do wonder if Harris was aiming for a book that is enjoyable for families to read aloud when children are in elementary school. Overall, the first instalment leaves the reader with a satisfactory conclusion and a contented feeling upon completion. One sentence review: The sequel to The Cruel Prince does not let up on the excitement or complexity. If anything, Black has added so much more to The Folk of the Air series with the second novel. Summary: Five months after making herself an extremely powerful player in Faerie politics, Jude finds herself with few friends and too many enemies. Her control is slipping on the throne and on her own heart. As she fights to keep her power, she must decide who to trust or she could lose it all. Review: Once more Black delivers a fascinating story. Her characters are complex and filled with depth. There are so many actions from each character that could be interpreted differently depending on what the reader believes is the character’s intent. Black uses the first person perspective to create more suspense and conflict than the dramatic action of the story. (The action and events of the novel still carry their own weight, they don’t suffer or lose their thrill to the perspective.) Black proves that she is a master of her craft by manipulating all the tools in her author’s belt to hoodwink even the most attentive readers. 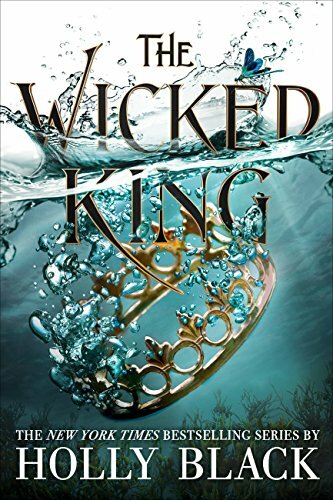 The Wicked King was a better book than The Cruel Prince. The characters and world did not need as much an introduction as in the previous story, so Black just took off running with this one. It is exciting and wonderful and heartbreaking in all the best ways. And, Black leaves you yearning for more and asking so many questions and replaying almost every scene for a hint of things to come. I welcome any and all speculation from other readers of this series. I think it is going to be one of my favourites once it is completed. Be kind, the world is dark enough. 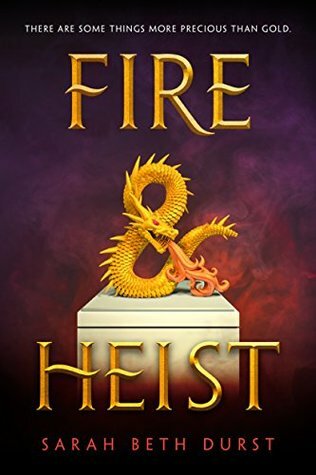 Fire & Heist is the most mediocre book that I have read in quite some time. Summary: After a failed heist ruins her family reputation and results in the prolonged absence of her mother, Sky is determined to get her mother and family’s status back. Review: The idea of this book is superior to the execution of the story. The main characters are shallow and underdeveloped, as is the world-building and the plot and the writing. BUT, if you remove a want for depth from the novel and want a fun book with very little thought required, this book is an entertaining way to pass some time. It is not terribly boring or upsetting, nor is it incredibly exciting and enriching. I felt like I was watching tv to pass time while dinner cooked, drinking water because it is all we have after a few weeks of avoiding the grocery store, or going to the toilet because you have thirty minutes left before you can leave but you have finished all your work for the day. This book was a way in which to pass time between my last book and my next book. I would not recommend or discourage anyone from picking up this book. I seriously have rarely felt so neutral about a book. Disclaimer: I received an eARC of Fire & Heist with the understanding that I would provide an honest and fair review.